← Should I Spend Donuts On the Cursed Forest and Beatrice? It’s funny, really…just how obsessed we get with “getting it all,” during a major event. And then you realize that if you couched all of your daily challenges, and pickaxes before Act III started, you probably blew right through this prize as if it wasn’t there. But, it is kind of a symbolic door to the rest of the stuff. You can’t get the Mummy’s hot Mamma unless you start by going through the Stone Gate. Like I said, I really don’t have a ton to say about most of this Egyptian stuff. 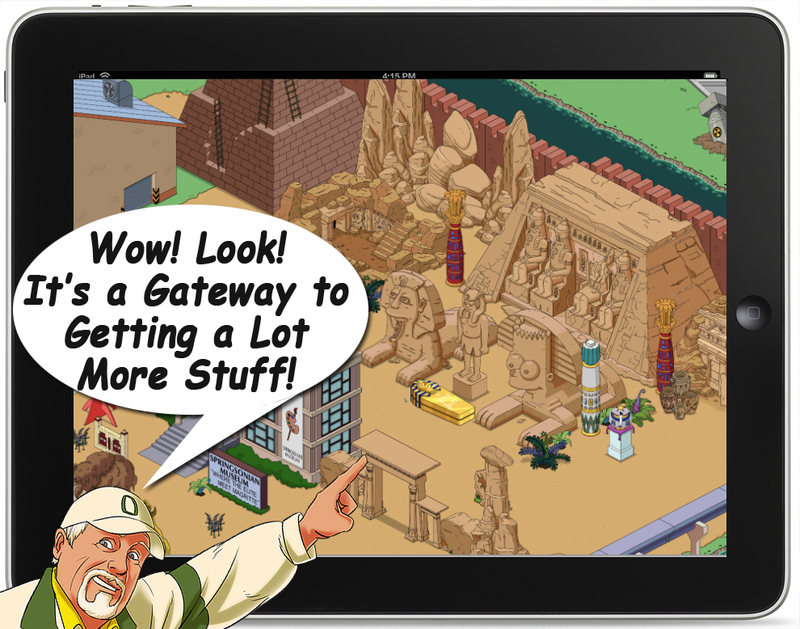 I got it…and I am not placing it anywhere near the “Bonus Zone.” Instead, I have created an Egypt exhibition for my museum that is second to none! I am having fun…and a couple more items, and I am done…Hot Mummy or not. 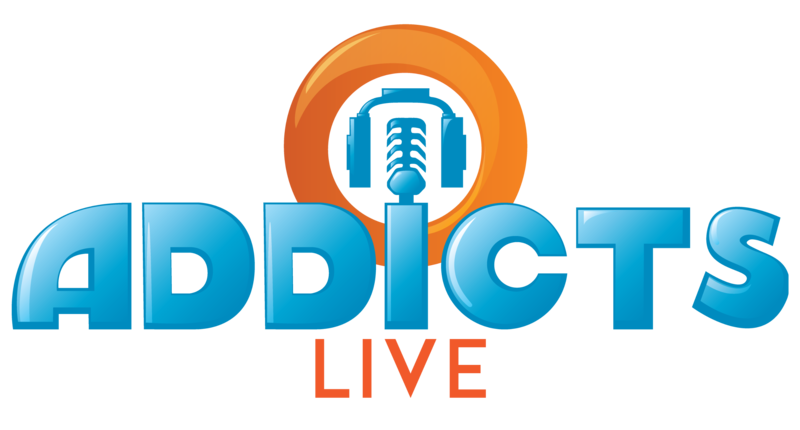 I’m sure you got this on day one…but here are the details! Homer: Ooh! A big, stone gate. I wonder where it leads? Lisa: Perhaps it’s a portal to the Egyptian underworld where they weigh a heart against a feather. A soul goes to Paradise if the heart is lighter than a feather. 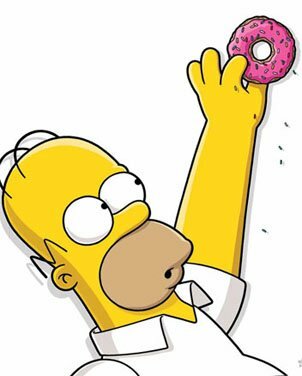 Homer: Does arterial plaque ad buoyancy? Because if so, paradise here I come. And There You Have It! It’s a Gate. It’s made of stone. It doesn’t really fit into Springfield. But, that’s OK… It unlocks other stuff. 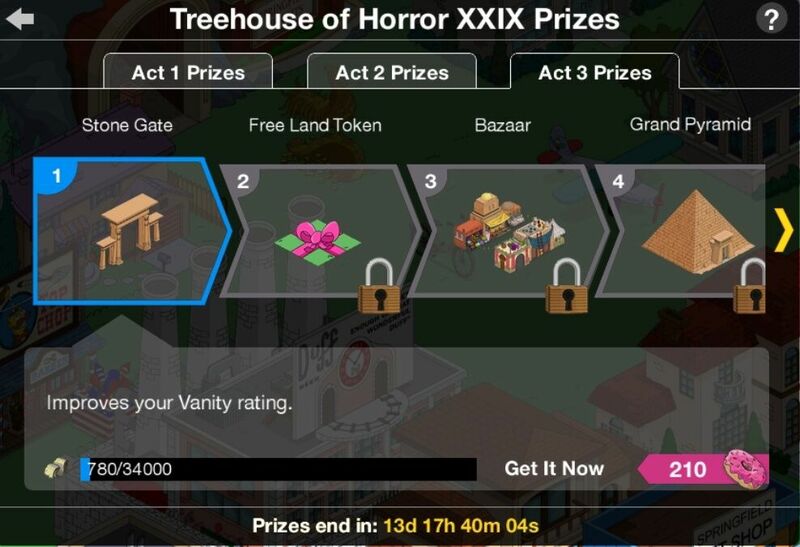 This entry was posted in Decorations, Tapped Out and tagged Eqyptian Stone Gate, Tapped Out Tips and Tricks, The Simpsons, The Simpsons Tapped Out, TSTO, TSTO Act 3 Prizes, TSTO Addicts, TSTO Community, TSTO Stone Gate, TSTO Tips & Tricks, TSTO Tips and Tricks, TSTO Treehouse of Horror 2018, TSTO Treehouse of Horrors XXIX. Bookmark the permalink. 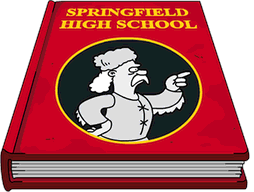 Anyone else notice that their friends in Other Springfields have disappeared? Happened a few times with this event already… each time it’s been fixed. Yes! Just noticed it on mine… they’re all listed as origin users not playing this game. Hoping it will fix itself. Love your design sir!!! I’m gonna have to rework my Egypt area soon for sure. I’m placing it temporarily for the bonus but reconfiguring my Egyptian area. Should really pop when all done.